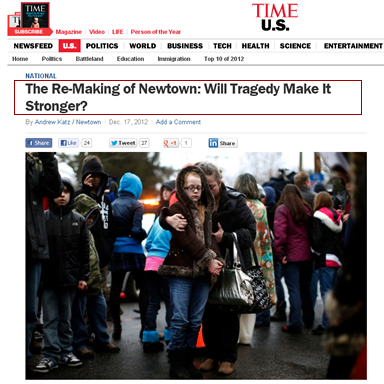 Do we really need to start the “How-will-Newtown-recover-from-this-horrific-tragedy” stories? It happened 3 days ago! The funerals have just started. 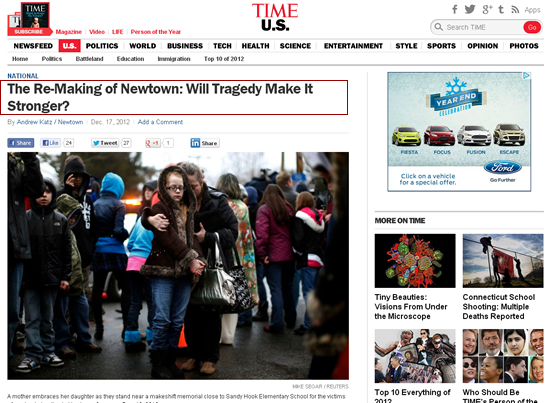 The victims families and the people of Newtown (make that the world) are going through an unbearable moment of profound grief. Give them some time to breathe before you move on to the next cycle of the story. It’s Christmas – please be human. P.S. – In other news, Fox News cut off Connecticut governor Dan Malloy’s press conference about the Newtown massacre after the topic turned to gun control. 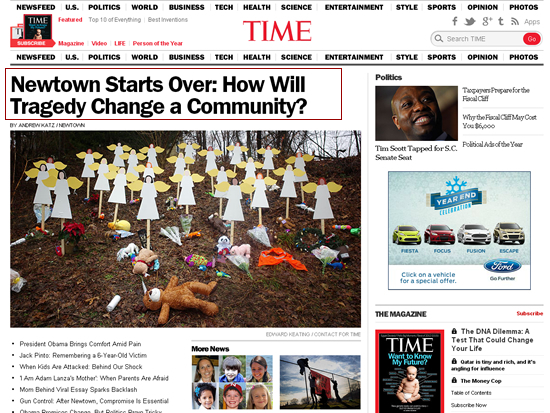 Now the story is gone from Time.com – perhaps they, too, agreed it was too soon.